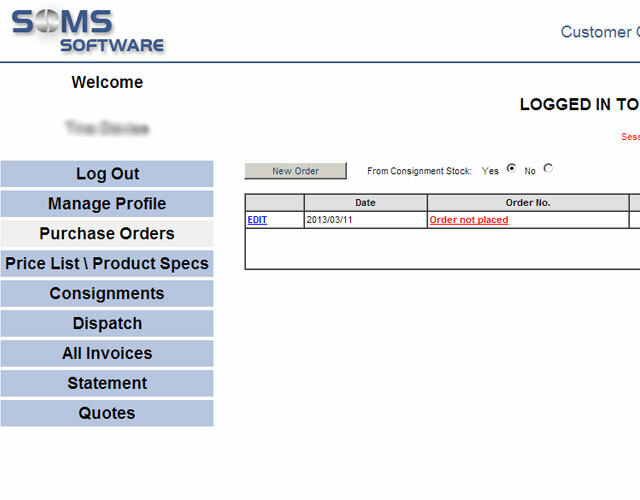 In "SOMS" the CUSTOMER CONSOLE plays a big role in the overall management of your business. 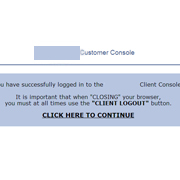 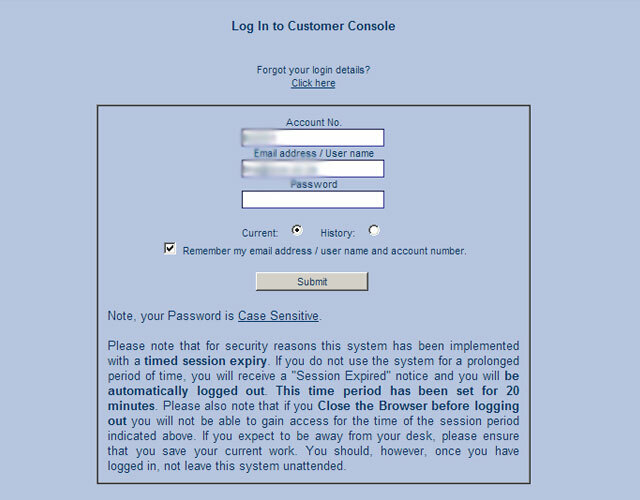 Your Customers gain access to the CUSTOMER CONSOLE via your "SOMS" managed Website. 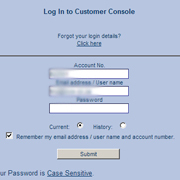 Each Customer (company) has a unique Account Number and each Customer Staff Member has a unique Password to login to the CUSTOMER CONSOLE. 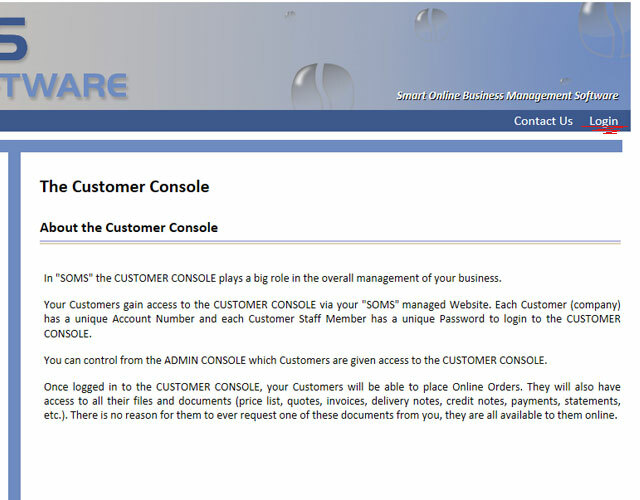 You can control from the ADMIN CONSOLE which Customers are given access to the CUSTOMER CONSOLE. 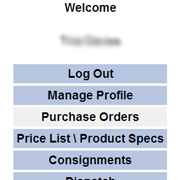 Once logged in to the CUSTOMER CONSOLE, your Customers will be able to place Online Orders. 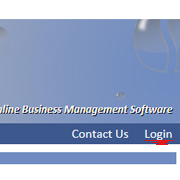 They will also have access to all their files and documents (price list, quotes, invoices, delivery notes, credit notes, payments, statements, etc.). 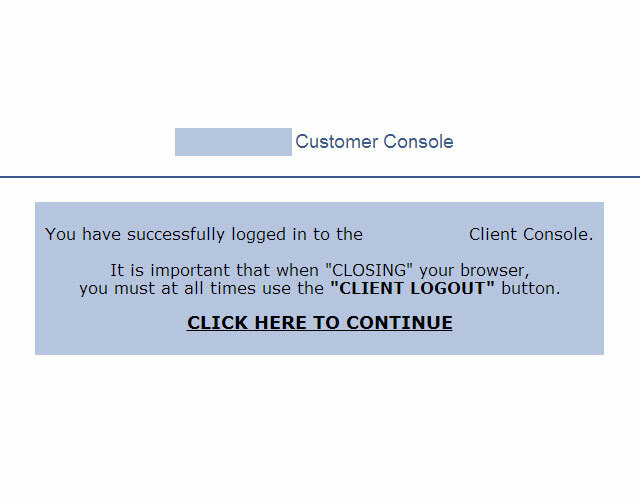 There is no reason for them to ever request one of these documents from you, they are all available to them online.